New to Houzz, but more than 30 years "A". rated honor roll, and accredited BBB service provider .. Top rated/honor roll for Denver front range. We do everything from trim work to hardwood floors. We would love to speak with you about your flooring project! The Man Behind Probity... Architectural Flooring Consultant John R. Ward 35+ years Master of the trade 47 years exceptional related construction experience... (Residential and Commercial) Framing, Sheathing, Light elect., Tolerances, Sleepers, Floating substrates and floor systems, Pads/Cushions, Installation and finish, Installer of Strip, Plank, Parquet, Inlays, Stairs, Hand railings, Fully adhered, Sander/finisher, Trim and More… Estimator (residential and commercial) with the knowledge of best practices for any task at hand; Take-offs from Blueprints or Field measure. 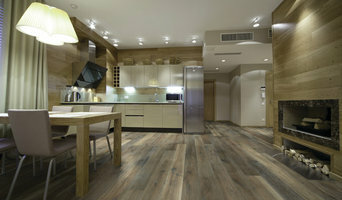 It’s rare to find any wood floor professional with this broad range of experience. **As the Commercial salesman for the most prestigious hardwood flooring company in Colorado, John sold and managed the construction of the complex stage and pit-lift for the Temple Buell Theater in Denver, numerous gymnasiums, floating dance floors, and many more large commercial jobs. JC Designers offers architectural design services and construction management; Floorscapers provides industry leading flooring to fit all your needs. Together they provide an intertwined array of offerings to you and your home. Jay brings 40 plus years of experience to you and your home as the principal owner of The JC Designers Group, featuring JC Designers LLC, our Kitchen & Bathroom remodeling division, as well as Floorscapers, our flooring experts. Our team can cover a custom designed fix and flip, a unique kitchen, your delicious master suite with featured mood lighting, custom furnishings, his and hers built-in closets then walking into your luxury bathroom, submerging into a relaxing therapeutic air and jetted whirlpool while your European sauna warms up, then on to your aromatherapy steam shower with body jets, rain and waterfall shower heads, even bringing your favorite music through the shaving mirror, and built-in wall tiles that would make most architectural digest readers envious. At JC Designers the word “standard” isn’t in our vocabulary. When your home improvement dream begins under your feet, Floorscapers packages include, quality, safety, lifetime warranties and durable, pet friendly surfaces in the many choices we will be presenting to you in the confines of “home sweet home”. Every flooring solution marries your dreams and our know how. Your most important investment will be safe with flooring installed by Floorscapers. At JC Designers and Floorscapers our menu is endless, our skilled craftsmen are waiting to make your dream a reality, it doesn’t matter the size of your project, we can cover it. Let’s pull out all 64 crayons and have a bunch of fun recreating your home into your style and taste! Lay the Groundwork for a Beautiful Home! We make custom remodeling and flooring easier and more affordable than ever before, so you can spend more time with those you love. Locally owned and operated for more than 20 years, A+ Hardwood Floors services the entire Denver metro area. We guarantee all of our work and offer FREE estimates on all commercial and residential hardwood flooring projects. We are very careful when choosing wood for you. We only use wood from the best mills to ensure the highest quality end result. 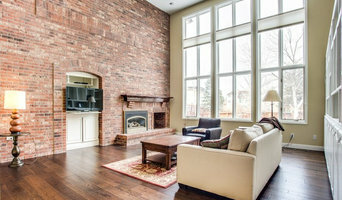 We are also very careful when working in your home or business treating the space as if it were our own. We use one of the best dustless systems in the industry. We offer eco-friendly, green finishes. Bonded and insured, we have an A+ rating with the Better Business Bureau and we would be happy to give you a price quote on any type of hardwood flooring job – large or small! *Authorized Armstrong Dealer* Welcome to Carpet Masters of Colorado! 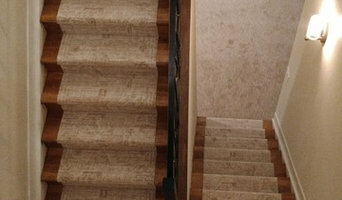 We understand flooring is the foundation of decorating. It sets the tone for your home and reflects your taste and lifestyle. At Carpet Masters of Colorado, it's our job to help you make your shopping experience a positive one. As the premier floor covering showplace in Longmont area, Carpet Masters of Colorado is your one-stop showroom for all of your floor covering needs. Our professionals will be pleased to come to your home and measure for a FREE estimate and consultation for all your your flooring needs including Carpet, Hardwood, Tile, Stone, Laminate, Vinyl, Resilient and Window Fashions. We feature and install the brand names you know and trust, including Creative Elegance, Designer's Choice, Signature Style, Softique®, Infinity Nylon Carpet Fiber®, Royal Stainmaster, Mohawk, Shaw, Armstrong, Congoleum, Legacy, Bruce, Teragren, Natural Cork, Mullican, Columbia and many more. When choosing comfort, fashion and style for your home, please visit Carpet Masters of Colorado today! With name brand flooring and an experienced staff we can handle all of your floor covering needs. We proudly service the following areas: Longmont, Firestone, Frederick, Erie and Niwot.